Manual data processing methods in power line inspections are both resource intensive and inefficient. Only intelligent drones streamline processes, reduce resource use and cut costs. Today, utilities employ designated experts tasked with analyzing vast amounts of image data to identify faults, defects, and potential grid component problems. Manual image handling is highly time-consuming, resulting in long repair delays often taking weeks or months before operators receive work orders, even on critical faults. Intelligent drones streamline the entire inspection process by providing utilities with an artificial intelligence-based smart assistant that dramatically improves image and thermal data capturing, as well as near real-time processing and analysis. Intelligent drones differ immensely from regular drones. All drones, being considerably smaller in size and lighter in weight than helicopters, are easier to operate and can be used both in heavy weather and in rough, narrow terrain. Intelligent drones, however, utilize AI-powered analytics to provide operators with insight from multiple data streams as they are part of and work together with an extensive and comprehensive power line inspection system. Without this system, a drone is just that, an unmanned aerial vehicle. 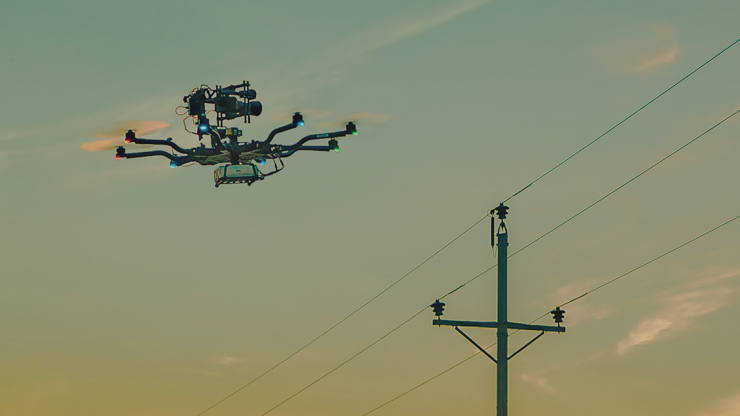 In cooperation with thirteen utilities, eSmart Systems developed an AI-armed drone, Connected Drone, with software specifically designed for power line inspections. Connected Drone works seamlessly with Thundercloud, the first intelligent end-to-end drone system consisting of software, communications solutions, intelligent sensor platforms, various types of drones, and a mobile operations center. Equipped with a camera, the AI done captures images and transmits them to the Connected Drone analytics platform for image and thermal analysis. The results are presented to the ground crew through a mobile unit, such as a truck comprising control consoles and monitors displaying on-going inspections. The mobile unit functions as an operations center in the field, providing operators with real-time power grid status. Geo-tagged images with time and location references make it easy for operators to localize any grid malfunction. In this case, the truck, or the mobile unit, functions as intelligent decision support for operators who can quickly commence with repairs or maintenance work. Operators work under inherently risky conditions: close proximity to high voltage equipment, terrain that can be both challenging to maneuver or traverse, and under adverse weather conditions, which often result in postponed line inspections. Drones can execute instructions regardless of weather conditions and can be pre-programmed to follow a given route. Although Beyond Visual Line of Sight (BVLOS) regulations often require pilots to be present in the drone inspection area, drone inspections with mobile field support are significantly safer than manual inspection methods. In addition, drone inspection of power lines does not require power shutdowns, as is required for manual line inspections. Drones can capture the required images without interrupting power delivery. Thus, intelligent drones contribute to reduced outage costs as well as to significant HSE improvements. Numerous utilities have provided eSmart Systems with pictures and images from previous power line inspections, to train the artificial intelligence to recognize damages, maintenance needs, and defects in power grid infrastructure. The number and types of scenarios the Intelligent Assistant is capable of identifying are continually developing. It will soon be capable of prioritizing operator work instructions based on task hazards. Drones are already flying high over our power grids, but intelligent drones take power line inspections to very new heights. 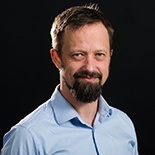 Tore is Chief Product Officer at eSmart Systems. He has 18 years of experience from Project & Risk Management for a wide range of companies. Tore has also designed and lead the development of numerous IT-systems. Prior to joining eSmart and leading the Connected Drone program, he spent seven years with Metier, two years in CA and six years in IBM/ConCrea.